Soundcloud Takedowns purging a TON of files. If you host your podcast there, BE CAREFUL not to include any copyrighted material. Followup from Ahmad about his hiss problem. I can’t thank you enough for answering my question here and on your great show. That’s awesome. I waited until I listened to the episode and the demo you made. All clips are recorded in Adobe Audition and from their saved as mp3. – It’s not a buzz or hum. It’s just a white noise just like that you get from a cheap mixer pres when you crank the gain all the way up. May be I’m being an audiophile. I just don’t hear such a noise in your recordings or in any other advanced podcaster’s. My podcast is about podcasting 🙂 and I want to get as clean audio as I can. – It’s probably less hiss than that in your demo. It’s like the one in your demo but after your have applied the noise reduction process. – The Mackie interface I’m using is powered via USB only. So, the ground issue is not likely to be the cause although I get another buzz when my Macbook is charging in 120v only. I managed to deal with that either by unplugging the charger or using the 3 to 2-prong adapter you mentioned. – It’s not the Mackie fault because it is present even if I plug the AT2005 via USB directly into the MacBook. – I use a Planet Waves XLR 3-foot cable. There is no power cables near my setup, no power supply bricks in the room. I also tried a different Audio-Technica cable just to make sure. – As I said, it’s like the noise from a preamp. But the Mackie Onyx Blackjack has a clean preamps. I think your mixer has the same Onyx ones. They are very clean up to 60dB which I never go above. After that you get a really annoying noise. – I suspect that it is the dynamic mics as they tend to be gain hungry and never have enough gain. – I tried the noise reduction tool in Audition and though it removed the hiss completely from silences, I didn’t like the over all result that it gave my voice. I think it negates the idea of having a professional setup. I sounded like talking with a cheap headset. My question this time is that: If I add a gate like the Behringer you use or the DBX 286s, will this kill the noise? A: Ahmad, I have to say all three of the samples you sent me seem great. I’m not hearing much in the silence so whatever it is you are hearing is not nearly as bad as you think it is. 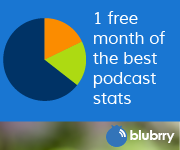 It might be you are getting a bit picky (which is normal for podcasters to do). You might just be hearing the room noise, even though it seems very low / non-existent to me. In that case, a noise gate such as the Autocom Pro XL I have, or the DBX box would silence the blank spaces in your audio file. It might be worth a try. The compressor, limiter, and expander functions are handy in some situations, but I don’t really use that part. Just the gate function. I then do my compression and such in post editing along with normalizing using Auphonic. Do you need Media hosting? 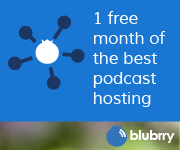 Did I hear you say on a recent podcast you don’t have to have a hosting account with a Libsyn or Blubrry to link a podcast to iTunes? If so, how do I go about submitting an rss/feed to iTunes and other podcast directories. Great show. A: no, you don’t NEED Libsyn or Blubrry to generate an RSS feed. In fact, the best way (contrary to SOME beliefs) is using a wordpress.org website (Self hosted, not WordPress.com) and using powerpress to generate your podcast-compliant RSS feed.